DividendMax»Company Coverage»Country:Netherlands»Exchange:Euronext Amsterdam»Sector:Electronic & Electrical Equipment»Company:Koninklijke Philips N.V.
Philips Electronics NV is an electronics company founded and headquartered in the Netherlands. The company offers healthcare products and services, various lighting solutions and consumer lifestyle products. 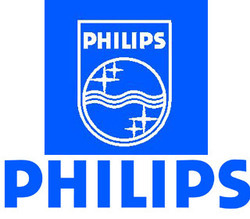 Philips Electronics was founded in 1891 and is headquartered in Amsterdam.